“Look Mom! Popcorn is popping on all the trees”. This is what my little Chloe says when we drive around town. White little flowers are blossoming on all the trees that it really does looks like popcorn! We also have a little nursery song that goes along with the saying. A new season that brings so much color and new life. 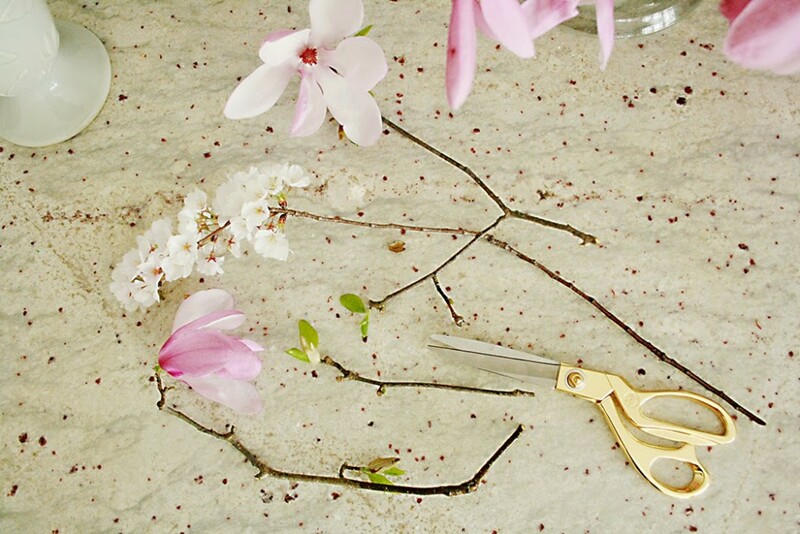 I couldn’t resist to cut the blossoming branches and bring their happiness into the house. One of my favorite things about the south is the magnolia trees. 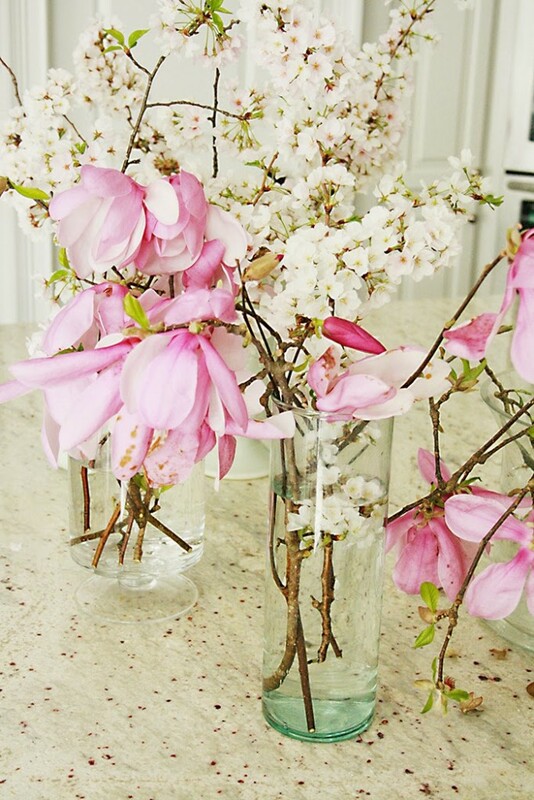 So many different varieties that blossom throughout all of spring and into summer. 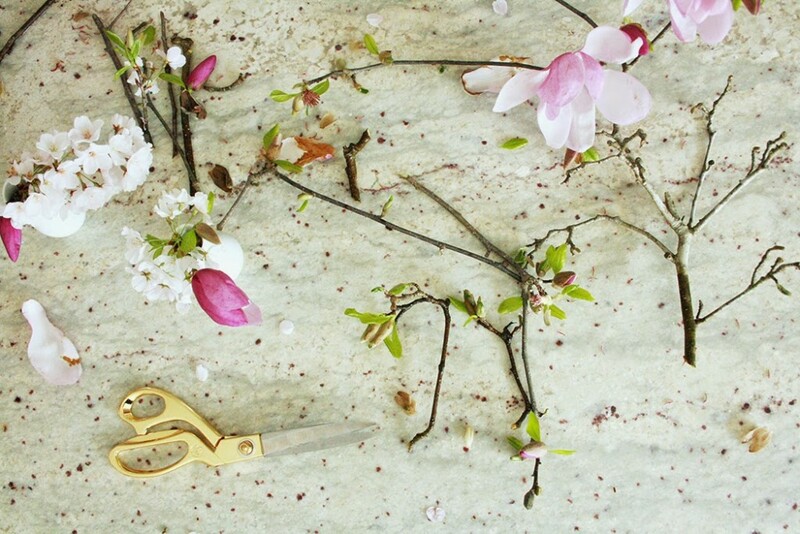 The purple magnolia trees are blooms early spring and are gorgeous with showy flowers. 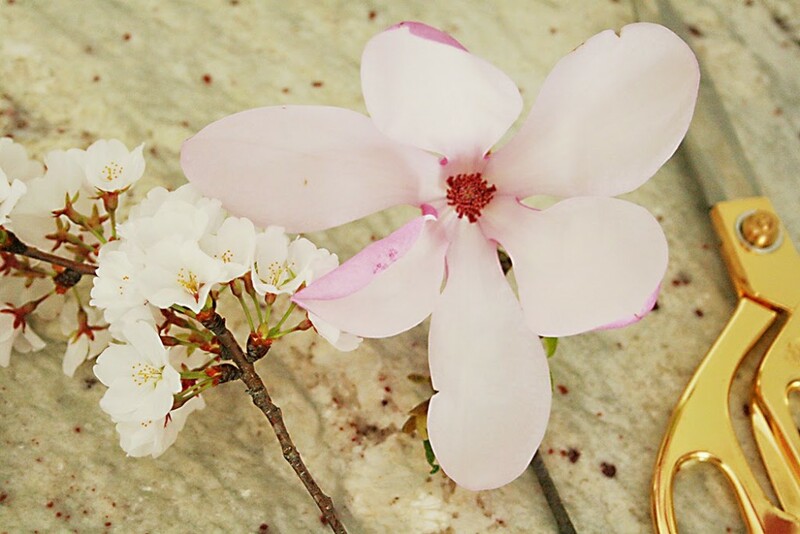 The white flowers bloom from Dogwood ornamental trees right before the leaves expand. I like to cut long branches for arrangement height. 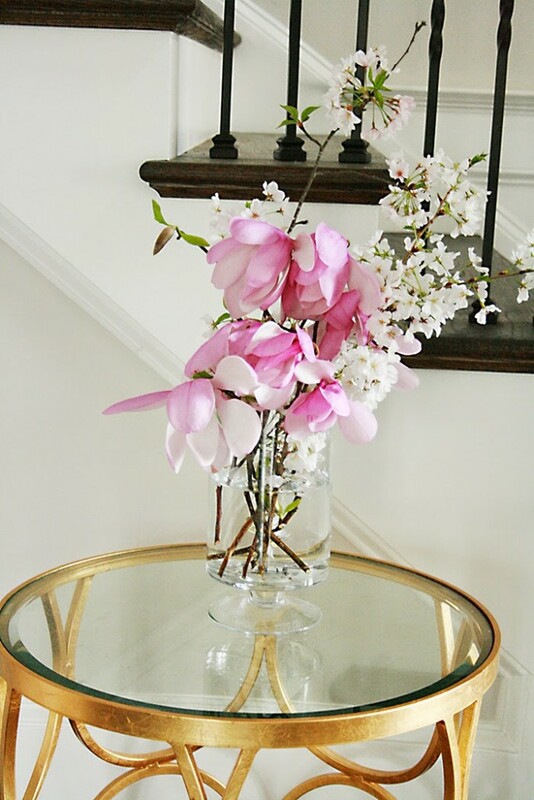 I like to arrange them in clear glass vases to show off the branches. 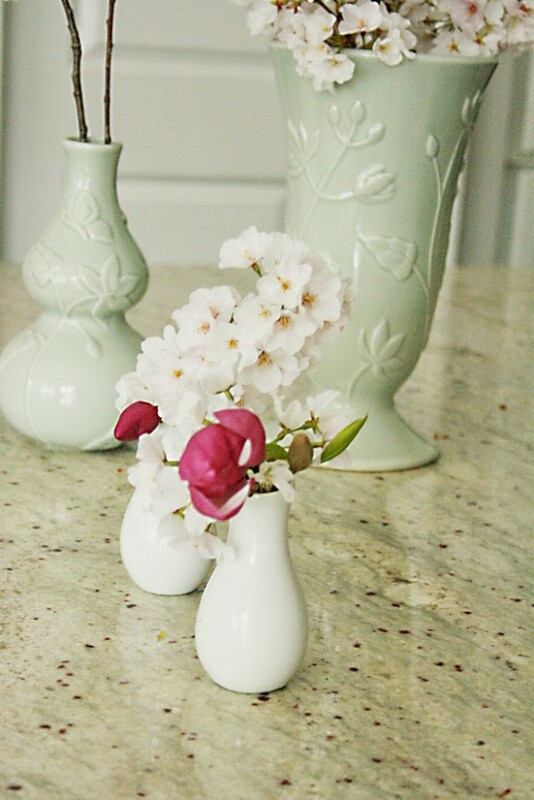 Tiny vases for bathrooms and side tables. 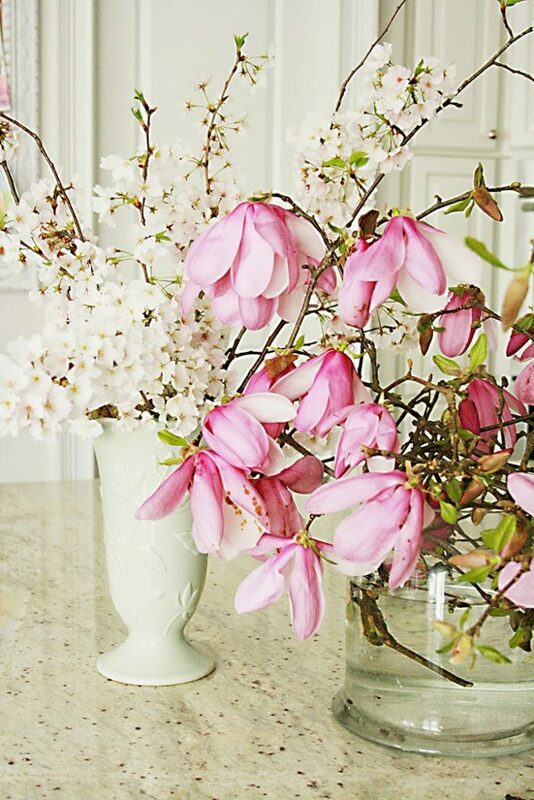 Enjoy bringing the spring season in your home also!